It’s been over a year since I uploaded the last video of Kaden reading at 4 years old. Here’s the latest video of him reading at 5 years old. Or technically, 5 years and 7 months old. His reading has improved. His pronunciation is getting better. Or maybe because I did a better video recording with lesser background noise this time. 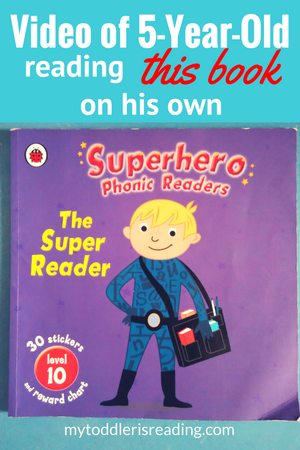 In the video, he’s reading the book called “The Super Reader”, Level 10 under the Superhero Phonic Readers series by the book publisher, Ladybird. I believe it’s an out of print publication. We had trouble trying to get all the titles in the series. We went to a local bookstore to find but the titles we wanted weren’t available. I tried to find it from the online bookstores, without much luck as the prices are higher. In the end, I got the missing titles from an online marketplace. These are all secondhand books in good condition. We still have one final missing title, “Super Robot”, Level 8. Just so happened that today, Kaden saw a seller selling this book from the said online marketplace. So I’ve been chatting with the seller to get hold of this book. He enjoyed all the stories in this series. I think the stories are all interesting for kids and the illustrations are nicely done. A pity that it’s hard to source for the book titles. 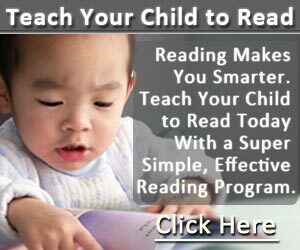 I started to teach Kaden to read when he was a toddler using a highly effective phonics program which you can read my review here.